I thought very carefully about who to interview for this month’s Wardrobe Wisdom. To date we've had contributions from three amazing and pioneering fashion industry insiders who have told us some of their top tips and tricks. So, which ethical living expert could I invite to share knowledge from a slightly different perspective? Well, one woman who knows all there is to know about the practicalities of looking effortlessly cool and dressing ethically is sustainable stylist Alice Wilby. 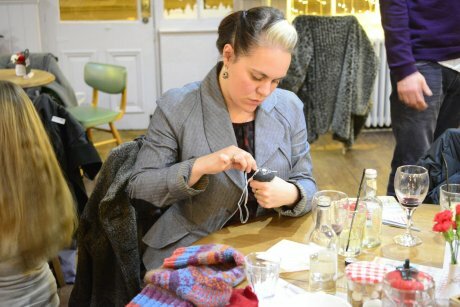 In 2009, with a successful commercial styling career under her belt and inspired by her love of vintage and ethical fashion, Alice launched Futurefrock ‘a digital magazine for directional sustainable fashion and lifestyle’. Whilst at Livia Firth’s consultancy Eco-Age, where Alice edited and oversaw the launch of their new website, she worked on collaborations with the likes of Gucci and Chopard. Since then Alice styled the high profile celebrity launch campaign for Fashion Revolution, with whom she continues to work, and more recently she co-founded Novel Beings, a styling agency for ‘conscious creatives’. Well it’s a bit dull but moths have been a massive problem to me over the years, probably because of my love of Vintage clothes. You can beat them but it takes a little work. Each spring, wash your winter woollies and when dry, freeze for at least two weeks. This will kill off any eggs that are lurking. Then vacuum pack and store until Autumn. Also keep all the clothes in your rails and in your draws in rotation. Shake out your jumpers and hanging clothes and dust down your wardrobe - as you would the rest of your house - every few weeks. Moths thrive in dark, untouched corners where they won’t be disturbed. So disturb them! I also back this up with traps and spray from a company called Historyonics. They supply museums and stately homes, so you know it does the job! Carrying on with the moth theme, my favourite grey cashmere jumper was in perfect condition until I forgot about it at the bottom of a laundry basket and the moths got to it. Turns out it was the perfect opportunity to flex my darning skills (that I actually picked up at an event The Good Wardrobe put on) but instead of going for a matching colour, I used a red thread for a spot of visible mending. The result is a jumper that is more beautiful now than it was before the moth attack. You recently founded Novel Beings - what sparked the idea to launch the business? Well necessity being the mother of invention, there was no one agency that represented ‘conscious creatives’, as we term it. My business partner, Khandiz Joni is a make-up artist and works with a green kit, I had been editing Eco-Age and on returning to styling I wanted to work with sustainable fashion brands, so after meeting on a shoot, Novel Beings was born! We are the first agency to solely promote sustainable, ethical practice, with artists covering hair and make-up, fashion styling and food and prop styling. How does your work help to make the fashion industry more ethical? We work with sustainable brands on their art direction and styling, giving them the best possible visual collateral to compete with their mainstream rivals. Also we offer a 360 approach, so from booking sustainable studios, through to make up used and food catered, we can provide ethical options for our clients. We employ what we call ‘best practice’, so even if the client isn’t sustainable, we, by nature of our practice, will do our job as sustainably and ethically as possible. For example, Khandiz will always use clean green products and I will always pull from as many sustainable brands as I can. By always promoting ethical options, we are helping to keep visibility high and increase the desire and demand for ethical fashion. Khandiz and I have also been working with Fashion Revolution, doing the art direction, styling and hair and make-up for their last two global campaigns. 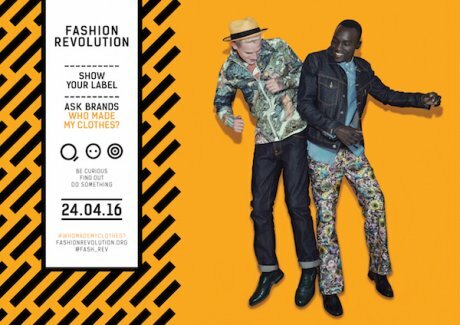 Fashion Revolution is a campaign designed to drive change in the fashion industry, now in its third year and operating in over 80 countries worldwide, it is hugely instrumental in making the industry more ethical. We are very proud to be part of that. Do you have a 'go to' place for repairs or alterations, either for clothes, shoes or accessories? I’m ashamed to say that I usually hit up one of my designer maker friends to help with alterations or repairs I can’t do myself! As far as shoes go, the key is not to wait too long before you get the heels or soles fixed and if you do that, then repairs won’t be too complicated and you can take them anywhere. Are there any clothing or shoe shops that you always make a beeline for in the UK or elsewhere? 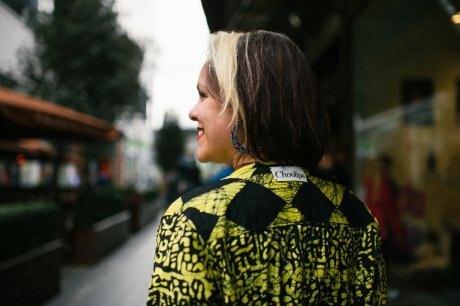 We are very lucky in London, the city has some amazing sustainable fashion boutiques and they are all curated in their own unique style. Lowie in Herne Hill is a favourite, as along with their own brand, which I am a massive fan off, they stock a great edit of other exciting brands and accessories. Also in south London is The Keep in Brixton Market, and East London’s 69b on Broadway Market is super cool. I also love Beautiful Soul. 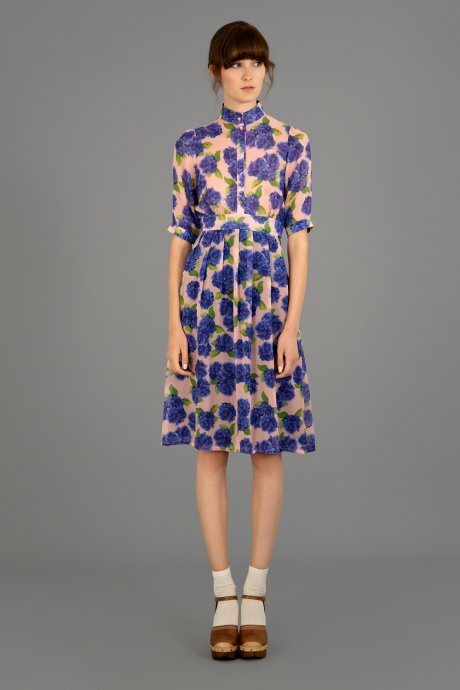 Their pieces are elegant classics, with just enough of a nod to the 70s to keep me happy. Well first of all, slow down! Stop. Don’t buy anymore until you have made a proper assessment and edit of what you already have in your wardrobe. I know it sounds dull but so many of us have clothes we haven’t even worn yet or wear very little. Not to mention all the pieces waiting to be fixed or altered. The most ethical thing you can do, resource wise, is to work with what you already have. But of course we like to shop! Once you’ve dealt with your existing wardrobe and you are ready to buy again, do your research. It can be really daunting trying to ‘green’ your wardrobe and you can’t do it overnight, so I’d suggest picking one area that interests you, like organic cotton or vegan products - start there and build up your basics. For example, People Tree do great organic cotton pieces, like their Breton style striped tops that are really affordable and fit seamlessly into your wardrobe. Or simply pop into one of the above mentioned shops and have a chat to the clued up sales staff, who can introduce you to a world of options. What should people look out for when investing in clothes, shoes or accessories? Buy something you really love! If you’re not sure, walk away because those purchases are the ones destined to be unworn the back of your closet. And if you love your clothes, you should take pride in how and where they are made. Make sure it’s traceable. If the brand can’t tell you ‘Who makes my clothes?’ then you could be in danger of buying something that has a dangerous and negative impact on the humans making them and the environment they’re made in. We have tremendous purchase power as consumers - when we invest in a new coat or new pair of shoes we can use that power to effect positive change. 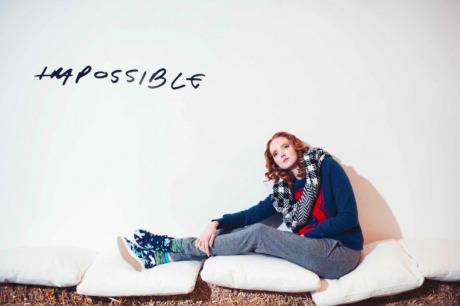 If this sounds daunting or confusing, check out Fashion Revolution’s website for the lowdown. I’m a magpie, so it’s a real mix. My Mum inspired me from an early age. She loves clothes, likes to have fun with fashion and isn’t afraid to mix up designer pieces with charity shop finds. I also love street style sites like The Sartorialist and Facehunter, for a little real life inspiration and have long been a fan of film noir and anything from the 20’s through to 40’s Hollywood really grabs my imagination.